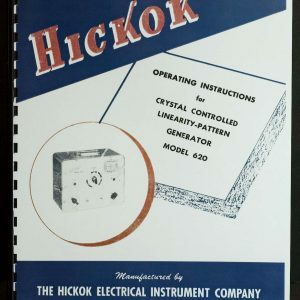 For sale is reprint of Hickok 539B Tube Tester manual. 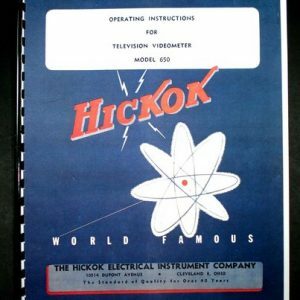 Manual 12 pages long and includes 11″x17″ foldout of Circuit Diagram. 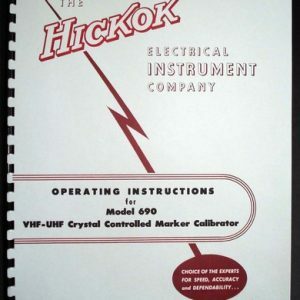 Manual comes with 4 pages of Ballast Tube Data, Part list and Operating Instructions. Manual is dated 1955. Manual also includes 2 Bulletins. 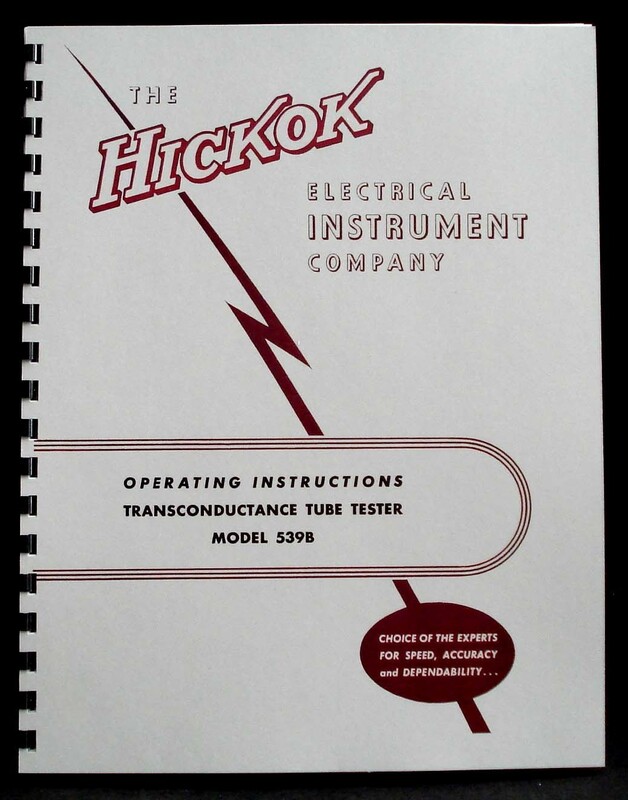 3 pages of additional data for new Tube Types dated 1957.